the bacon in the 11/12 with a hard fought 2nd ! 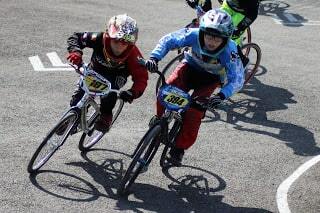 Lucy groundwater winning with smiles of room in all Motos, a top step for her. Meg back on the podium, in with the 15+ Girls And it’s all to do again tomorrow !! !